MEPI Student Leaders Program is an intensive 5-week training program in four U.S.-based universities for about 60 undergraduate and graduate students (age 20-24) from the Middle East and North Africa (MENA). Students learn about leadership, civil society, and government processes and how they may apply these skills in their home countries. Students are divided up among U.S. academic institutions where they develop leadership skills and expand their understanding of civil society, as well as the democratic process and how both may be applied in their home communities. Participants have the opportunity to meet their American peers, engage in local community service activities, and observe and take part in the governmental process on the local, state, and federal levels. The institutes include academic coursework, as well as site visits to local and regional community organizations in the United States. Upon completion of the U.S.-based programs, host institutes work with participants to implement civic engagement programs in their home communities. After the U.S. program concludes and as funding allows, the U.S. Department of State may hold follow-on trainings and events overseas in the region that program alumni can apply for through a competitive, application-based selection process. Application closes on December 31, 2018. TechGirls is a three-week youth exchange program that focuses on the high-level study of technology while fostering mutual understanding among the youth of the United States and the MENA region. The exchange empowers young girls to pursue careers in the science and technology sectors. Complete and submit your online application at http://legacyintl.org/techgirls/participants/eligibility-and-application/ . The Global Undergraduate Exchange Program (also known as the Global UGRAD Program) is a merit-based scholarship for outstanding undergraduate students to study in the U.S. for one semester in a non-degree full-time study program. Selected students will have the opportunity for in-depth exposure to U.S. society, culture, and academic life by engaging in substantive courses and community service at U.S universities. in the United States. Scholarship recipients live with host families, attend U.S. high schools, and participate in special enrichment activities that include community service, youth leadership training, a civics education program, and other activities that help them develop a comprehensive understanding of American culture and develop leadership skills. Likewise, these students serve as cultural ambassadors for their home countries, representing their own rich heritage to their American host communities. The Study of the U.S. Institute (SUSI) for Student Leaders on Entrepreneurship and Economic Development is an intensive short-term academic program whose purpose is to provide groups of undergraduate student leaders with a deeper understanding of the United States while simultaneously enhancing their leadership skills. The five-week Institute will consist of a balanced series of seminar discussions, readings, group presentations, and lectures. The coursework and classroom activities will be complemented by educational travel, site visits, leadership activities, and volunteer opportunities within the local community. The Institute will include an academic residency component of approximately four weeks and a domestic study tour of approximately one week. During the academic residency, participants will also have the opportunity to engage in educational and cultural activities outside of the classroom. The Study of the U.S. Institute (SUSI) for Student Leaders on Women’s Leadership is an intensive short term academic program whose purpose is to provide groups of undergraduate female student leaders with a deeper understanding of the United States, while simultaneously enhancing their leadership skills. This five-week program will examine the history and participation of women in public life in the United States. The Institute will focus on two major areas: developing participants’ leadership skills in areas such as critical thinking, communication, decision-making, and managerial abilities; and, placing these abilities in the context of the history and participation of women in U.S. politics, economics, culture, and society. The program will also examine the historical domestic progress towards women’s equality in the United States, the current domestic successes and challenges to women in a variety of fields, and current challenges in global women’s issues. The Institute on Women’s Leadership will be hosted by the University of Kansas. Between the Lines is a two-week writing workshop residency program at the University of Iowa with two additional days of programs in Chicago. Young writers who are interested in sharpening their writing skills, deepening their understanding of American culture and sharing their experience with young American writers, will be immersed in the creative writing culture of the U.S. 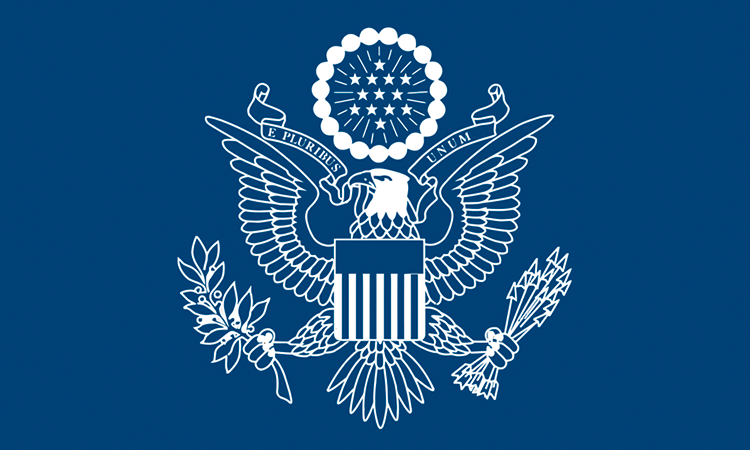 Sponsored by the U.S. Department of State’s Bureau of Educational and Cultural Affairs, the Fulbright Program provides funding for Moroccan professionals and academics to pursue educational opportunities in the U.S. Program funding is provided by the U.S. Congress through an annual appropriation to the U.S. Department of State. Foreign governments, colleges and universities and private foundations also provide direct and indirect support. The competition for Fulbright Program grants is merit-based. The Fulbright Program’s application process is lengthy and rigorous, and prospective applicants are encouraged to consider carefully their intentions, goals, future plans and prospective projects before applying for a Fulbright grant. Academic or programs goals while in the U.S. Details on all Fulbright Programs for Moroccans are listed under the “Grants/Grants for Moroccans” tab on MACECE webpage.